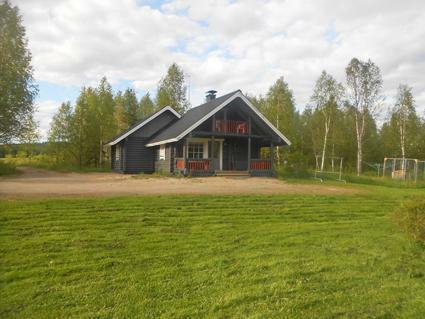 Log cabin with a loft, location is approximately 14 km from Nurmes on the shore of river Kuohattijoki. 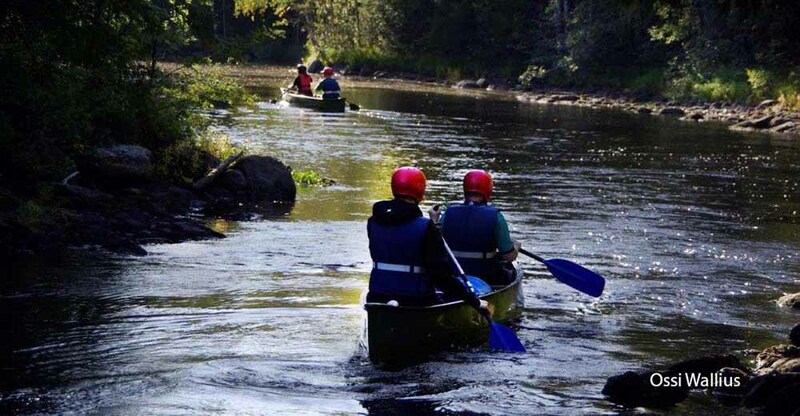 River shore 40 m, hard sand/silt bottom, pier, canoe. 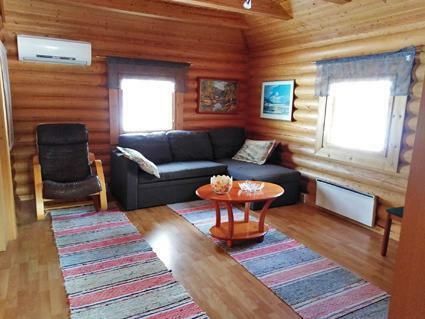 Downstairs combined kitchen-living room with convertible sofa, alcove with double bed, wood heated sauna. Spacious loft with double bed and 2 mattresses. 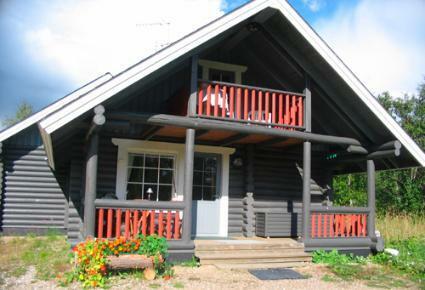 Cabin has floor heating and air source heat pump. Additionally a separate yard sauna. Campfire place, dog house and dog cage in yard. Summer games available (badminton, croquet, petanque and dartboard). 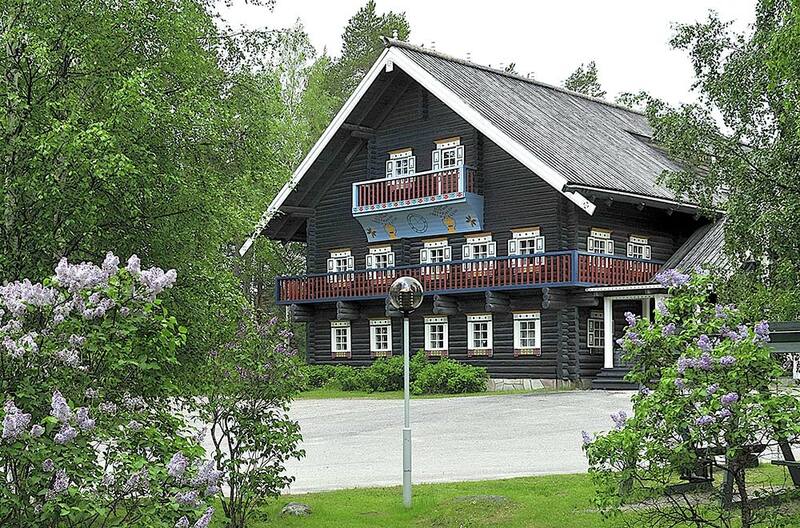 Linen and final cleaning can be booked from the owner. 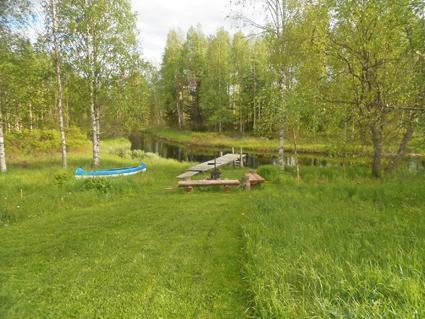 Owner rents out also boat and electric outboard motor, boat is situated by the Lake Lautiainen in 13 km from the cabin. There is water connection from Lake Lautiainen to Lake Pielinen. You can buy a lure fishing license for river Kuohattijoki from the sports equipment shop Kone-Sola Nurmes (Kirkkotie 16 A, Nurmes, tel. +358 13 480 180). 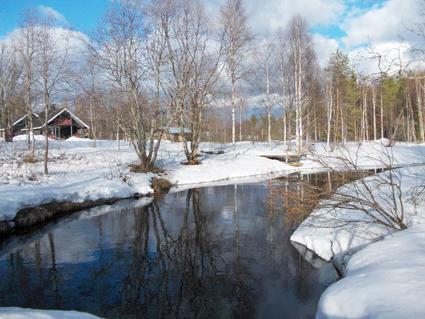 Cabin can be reached by car during summer and winter. Electric outlet (3). Nurmes 14 km, Bomba Spa and Karelian village 14 km, Kuopio 140 km, Joensuu 140 km, Kajaani 130 km, Koli 80 km, Tahko (Nilsiä) 90 km, Vuokatti 90 km, Pielis-Golf in Hyvärilä 16 km, Kotilanvaara cross-country skiing tracks 14 km.